Born in Nové Zámky, Slovakia in 1886, Lajos Kassák was a cultural polymath and leading figure of the Hungarian avant-garde movement. As a firebrand for the Communist party, Kassák organized labor unions and strikes in Hungary. In 1909, he traveled to Paris on foot and discovered the power of art by visiting the city’s many museums. Expelled from France in 1910, Kassák returned to Hungary and founded the literary journal A Tett, which featured the poems, graphic design, and artwork of passionate anti-war activists. 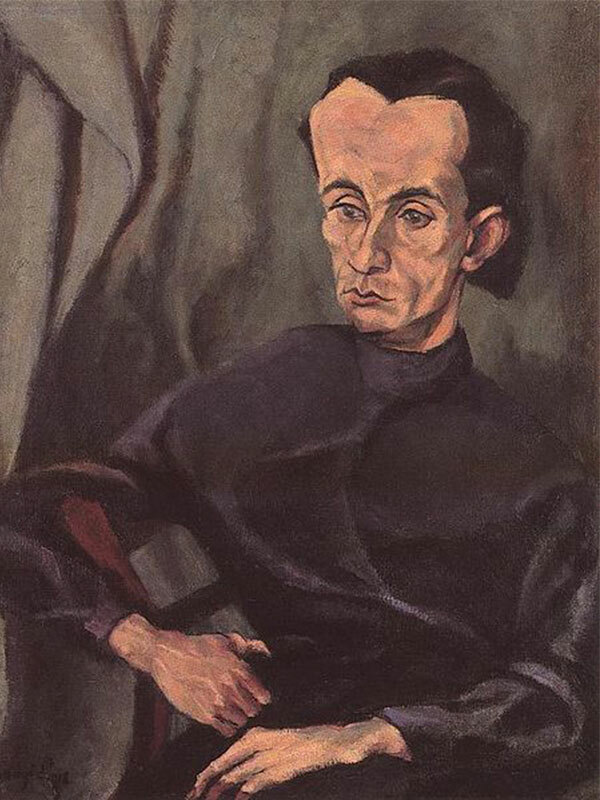 Following the end of World War I, Kassák challenged the Soviet Government over the role of art in politics and spent nine months in jail for his radical views. In 1919, Kassák moved to Vienna, where he designed the graphics for the noted German expressionist magazine Der Sturm and in 1922 he collaborated with fellow Hungarian László Moholy-Nagy on a volume entitled Book of New Artists. In 1939, his first exhibition of paintings opened at the Galerie Charpentier in Paris. He joined the Hungarian Uprising in 1956 but following the failure of the revolution, Kassák returned to painting and watercolors. Kassák passed away in 1967, leaving behind a dizzying legacy of poems, writings, graphic design, and art. In 1976, The Kassák Museum in Budapest opened to preserve his intellectual and artistic legacy. Kassák’s work is held in the permanent collections of the Tate Museum of Art, London and the Museum of Modern Art, New York among many others.